The final events of this year's WCOOP got under way yesterday and when the virtual registration desks had closed the final prizepool for the festival was boldly announced via PokerStars' lobby. Thanks to thousands of eager grinders this total amount of money handed out by the online site was $62,362,757. A large chunk of that money was collected and will be subsequently distributed in the $5,300 Main Event which comes to a conclusion later today. After attracting 2,133 players, the marquee tournament exceeded its $10 million guaranteed prizepool and by the time nine hours had elapsed just 296 players were left in contention. Leading the way for the $1,877,573 top prize at the time of writing was Australia's "HeroCallFold" with 719,357 chips, just ahead of "Pkr_b777" (551,511). 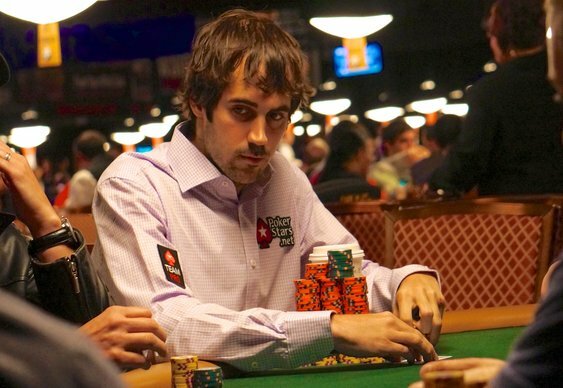 Also still in the field and just a few places from the opening 243rd payout place is PokerStars pro Jason Mercier. Proving that he's as adept at tournaments online as he is in the live arena, Jason managed to end Day 1 in 31st place thanks to a 273,783 haul. The final day session of this year's WCOOP finale will resume later today when the remaining players will be whittled down to a final table which will inevitably see a deal struck before someone walks away with the title.